For people that already have a computer, backing up your data and recovery is essential for your files including the most important files stored on your computer. In an event of accidental loss of data or a computer crash all files would be corrupted or wiped out. Contact Alpha Boss for an in home or small business back up of your data and recovery of your files on your computer. All your files will be transferred to a CD for this procedure. 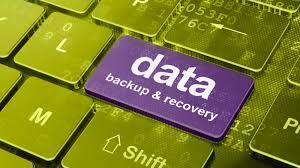 Pricing is $35.00 per hour for data backup and recovery. LIMITED FREE OFFER:We offer free data backup and recovery of your computer FOR THE FIRST 10 CUSTOMERS ONLY. Please contact us by clicking contact below for more information about our limited free offer.